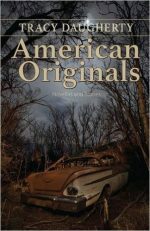 The novellas and stories in AMERICAN ORIGINALS convey the power of the desert to swallow people—literally, through the rituals of labor, or through the raptures of ecstatic vision induced by blessings or madness—and people’s ability to forge connections in spite of extreme conditions. Each piece in this thematically-linked collection assumes a unique shape, whether poetically compressed, echoing (only to break) the contours of mystery stories, or redolent of the forms of classical prayer. The characters here learn, sometimes the hard way, the truth of T.S. Eliot’s insight that the “end of all our exploring” in life is to “arrive where we started” and to know, for the first time, who we really are.